GIFTS FOR MEN: GIFTS FOR GYM RATS | muted. Our Gifts For Men: Gifts For Gym Rats buying guide will give you our top suggestions for those in your life who can’t get enough of the gym. These gifts are meant to enhance their workouts as well as saving them a little time in commuting, by letting them get a great workout at home. We provided options for tracking devices, workout decks, high tech jump ropes, space saving weights, and juicers. Everything a gym rat needs. One of the core pieces of equipment every gym rat needs is his tracker. One of the best out there is the Apple Watch Sport Series 2 42MM ($269+). The Apple Watch Series 2 has some serious features for the athlete. First of all, it features a built-in GPS. This lets you leave your iPhone at home and still have the ability to measure your workout. It can precisely measure your distance, speed, and pace while walking, running, or cycling. It has a heart rate sensor that continuously measures your heart rate which links into all of your other metrics. And if you’re like me and hate taking off your watch or are forgetful, the fact it’s water resistant to 50 meters is a definite plus. So whether you’re in the shower, swimming, or in the ocean, you’re covered. Now none of this tech is any good without a great workout app to track your results. 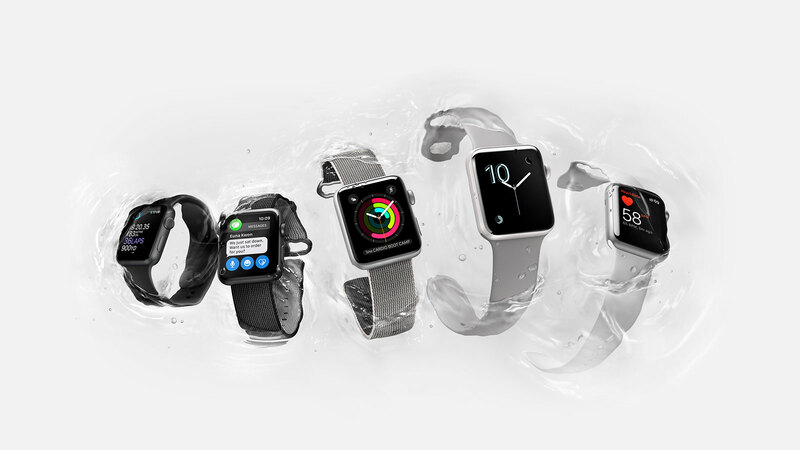 The series 2 allows you to track 12 workouts including swimming, biking, running and elliptical. Just set your goals and get moving. You can even set up to five metrics to view at one. The Apple Watch Series 2 is probably the most important piece of equipment in any gym rat’s bag. If you’re buying for a gym rat who has limited space but still wants to move crazy weights, then you have to consider getting him a set of PowerBlock Elite Dumbbells ($299). This is a complete dumbbell set from 5-50lbs in a single package. It replaces up to 16 pairs of dumbbells in the space of 1. 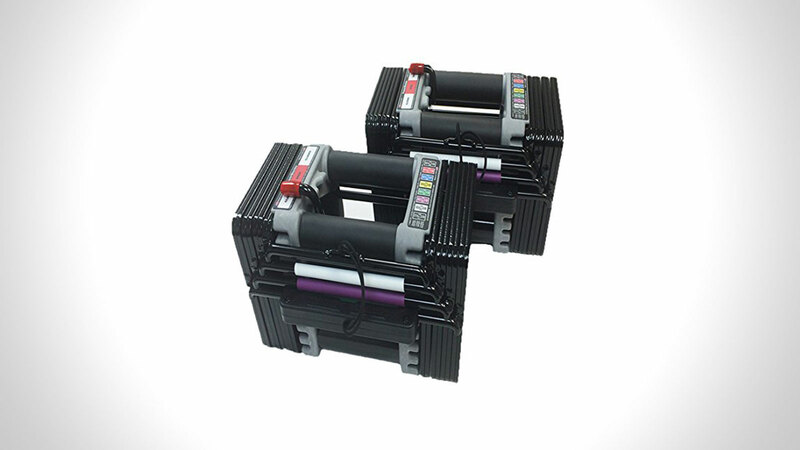 And if your gym rat needs some extra weight you can even by an expansion pack up to 90 lbs. Also, don’t forget the PowerBlock Large Column Stand ($129). Jumping rope is probably one of the best exercises you can do to get slimmer. If you’re looking for gifts for your gym rat don’t go out and get a run of the mill rope. Get the Smart Rope ($80). 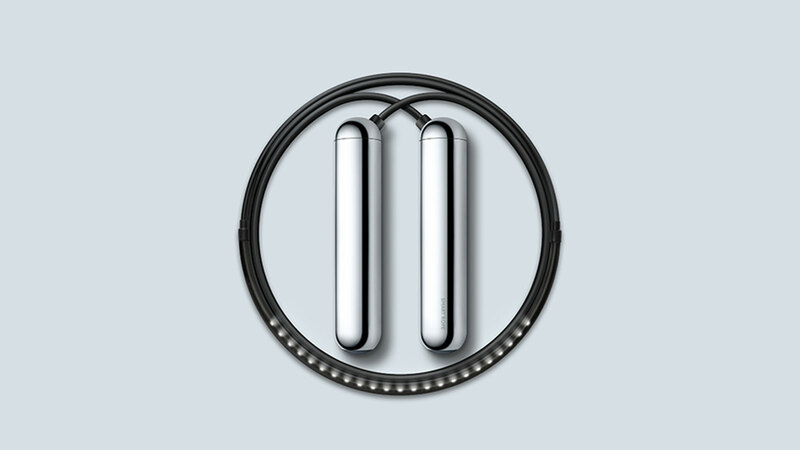 The Smart rope has led’s embedded into the rope that displays your count in mid-air. Right now it just displays your jump count, but in future updates, it will display calories burned, interval training data, and other symbols and icons to register double unders and other relevant fitness information. It also comes with a Smart Gym app that shows your basic count, has an interval trainer, and allows you to compete against others. Behind your tracking tech, a good workout deck is probably the second most important piece of equipment for a gym rat. So when buying a gift don’t skimp and buy one of the best on the market. 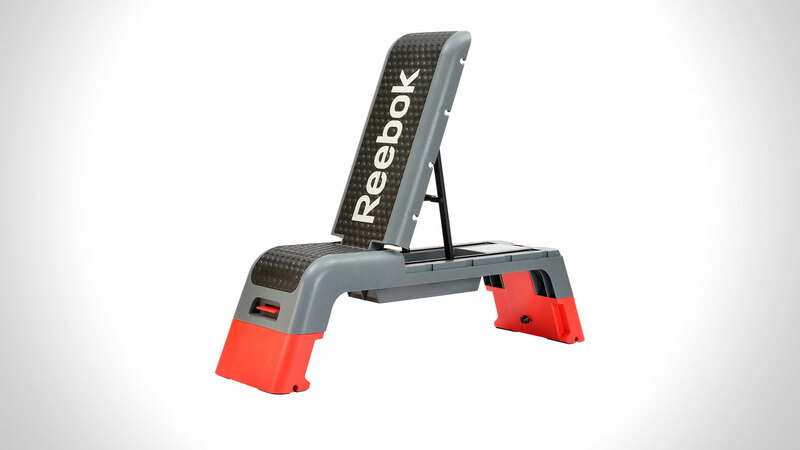 The Reebok Professional Deck ($150) is one of the most widely used in public gyms. It’s one of the pieces of equipment used at Orange Theory Fitness gyms, and if it can stand up to daily abuse from the public, it can definitely stand up to home gym workouts. It features 3 position angles for incline, decline, and flat workouts. It has an internal storage compartment for resistance tubes and has two height positions for adding step ups to your workout. I must have piece of equipment. And lastly, it’s not always about your workout. What a gym rat puts into his body is the most important thing. 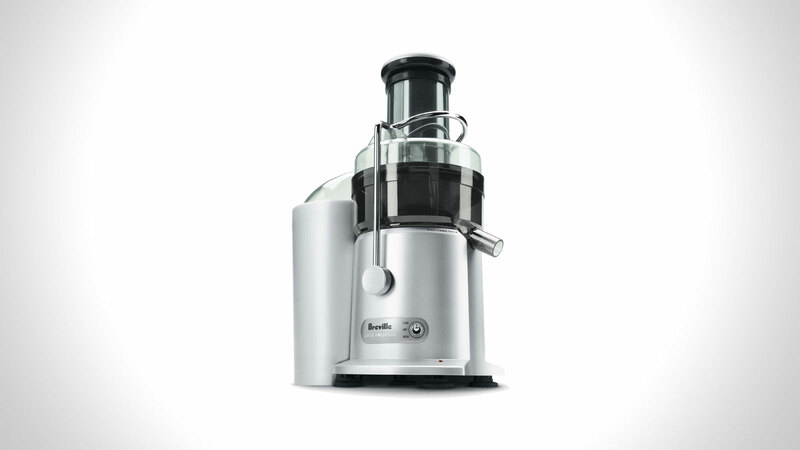 The Breville JE98XL Juice Fountain Plus ($146) is perfect for first time juicers. It runs on 850 watts and has two speeds (12,000 rpm and 6,500 rpm). The JE98XL allows you to extract juice from fruits and vegetables in order to get the most nutrients into your body. The Breville is not only easy to use, but it is easy to clean. It features a large-capacity pulp collector and most parts can be cleaned in your dishwasher. A must have for any Gym Rat.